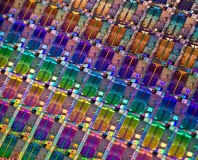 The semiconductor industry has received another shakeup with the news that Lattice Semiconductor has been acquired by a Chinese-backed financial group in a deal valued at £1.04 billion inclusive of debt. Founded in 1983 and floated on the stock exchange in 1989, the Oregon-based Lattice Semiconductor is the third largest field-programmable gate array (FPGA) designer and second-largest complex programmable logic device (CPLD) and simple programmable logic device (SPLD) designer in the world. Its designs can be found in everything from laptops to networking hardware and TV sets, with revenue hovering around the $300 million mark annually. Now, though, the company is under private ownership for the first time since its 1989 flotation on the NASDAQ. Canyon Bridge Capital Partners, an investment group backed by Chinese funding, has announced the acquisition of all shares in a deal worth £1.04 billion inclusive of debt, representing a 30 percent premium over the shares' previous valuation. The deal marks a rather more pleasing interaction with China than experienced by Lattice in 2004, when the company settled a legal case with the United States government over claims it had exported embargoed technologies to China, resulting in a $560,000 fine. 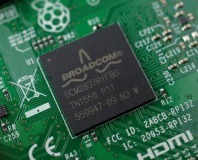 It also continues a string of billion-dollar acquisitions in the semiconductor industry over the last year, including but not limited to Broadcom buying Brocade for £4.74 billion, Qualcomm's purchase of NXP Semiconductor for £38.62 billion, SoftBank's acquisition of ARM for £24.3 billion, Microchip buying Atmel for £2.86 billion, Intel picking up Altera for £13.43 billion, and Western Digital snagging SanDisk for £15.27 billion. Lattice is expected to remain headquartered in Portland, Oregon, with no reported change to operations or staffing as a result of the acquisition. Still reports a major loss, though. Profit margins to jump a point or more. Tech industry continues to shrink.